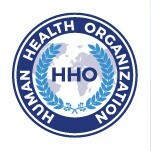 The Human Health Organization (HHO) was officially established in California, United States, and registered in 2012. It is a non-governmental, non-profit organization that is committed to promoting health education and academic research, advancing health culture, cultivating good nutrition and healthy lifestyles, and facilitating the development of healthy and sustainable human settlements though public-private partnerships. HHO goals are aligned with the targets of the 2030 Agenda for Sustainable Development; they complement the efforts and activities of national authorities and civil society, follow activities of the United Nations, WTO, UN-Habitat and are focused on health and well-being of all people.